Everyone who knows me knows that I’m a draft person. 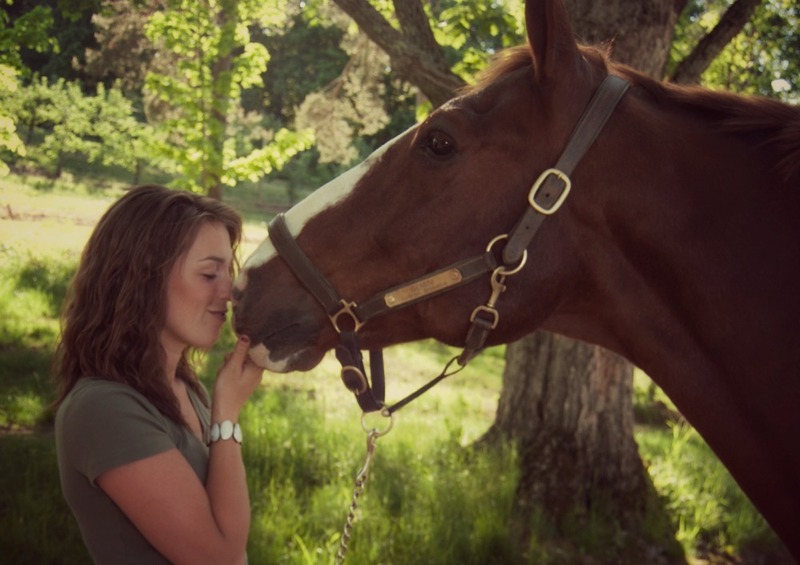 A person, who above all other horses, loves draft horses. It’s true, I am a draft lover. Know anyone like that? I think it happened when I got my second horse, a Clydesdale cross who I named Gemini. He knew nothing, I knew nothing. It was a spectacularly terrible mix. Plus, he was incredibly frustrating, and was big enough to overpower me. Sound familiar? Anyone who’s dealt with a draft horse knows what I’m saying. So, how is it that now, I’m crazy about draft horses? Enough to write an article about it?? Well, after years together, it’s safe to say that he won me over… Wholly and completely. Here’s why I love drafts– and why you should too. If you’re debating what kind of horse to get, please, let me weigh in. Why I love draft horses– and why you should too. 1. They’re just big teddy bears. The general rule with horses: the bigger they are, the gentler they are. Of course, there are exceptions to all rules, but this is a well accepted one. Draft horses especially (as opposed to large warmbloods or thoroughbreds), have been bred to be gentle giants. They’re generally quiet, cuddly and just plain sweet. 2. They don’t hold grudges. Part of the calm and quiet mindset means that they’re pretty accepting of their surroundings. If you have a moment while you’re riding where you need to explain something to them, it might take a bit, but they won’t hold anything against you in the future. They’re willing and they generally just want to please you. They are a bit different than other breeds, who might hold grudges after “training moments” or times of frustration for either of you. 3. They’re calm and safe. Usually. Gentle giants. They’re big, but they don’t have excessive energy or have any grand desire to run. They also aren’t easily spooked, and just take things as they come. They are usually just happy to hang out as long as they have a purpose– whatever job that may be. They’re not known for bolting or spooking, though unique personality is the biggest teller in all horses. 4. They don’t have a harmful bone in their bodies. I’ve known some horses that just had their own desires of their mind, rather than other people’s. Drafts, on the other hand, generally just want to please you… Which means they aren’t trying to think about how they can avoid you, get away, run off, etc. Even young green horses generally just want to make you happy and they’re trying to figure out how to make that happen. 5. They’re willing to learn (though it may take a little while). They want to please. They spend a good amount of time just following in line, trying to figure out what you’re asking and how to do it. However, some drafts can be a little slow when it comes to learning something new– it goes along with the quiet calm disposition. They’re not necessarily going to be at-attention at all times, or responsive in a “hot” way. That’s part of what makes them wonderful. Just take it as it is. If you’re not used to it, you will be soon. There’s beauty in that power. There’s something about being connected to an animal so large, and having them so in tune with you. It’s a very special thing. Keep in mind though, when they’re frustrated or in the moment of “I’m trying to figure out what you want! !”, they can use that power against you. Many draft horses in training will pull with their shoulders (naturally, their preferred strong part of their body) to get where they want to go. This is all a part of the training process– if you‘re prepared for it you’ll get through it. 7. You’ll start to get them, and they’ll start to get you. Drafts have a particular mentality. It’s different from ponies, or Thoroughbreds, or even warmbloods. Those who have lived their lives around draft horses can attest to this. You’ll begin to connect to and understand when they get overwhelemed learning something new, or the situations that they feel most relaxed in. After 12 years riding almost only draft horses, I personally feel the most comfortable around them. I know what I can expect. And after a while, you have just begun to “get each other“. If drafts are your kind of horse, consider yourself lucky. They’re not for everyone, it’s true. But if you feel drawn to draft horses, consider yourself lucky. You’re around some of the best, most special horses there are. Of course, I would think that! Who’s your favorite draft horse? Tell us in the comments below. I enjoyed reading everyone’s experiences with draft horses! I am currently looking for a draft cross because of their known docile temperaments. I currently own a 20 year old QH who makes me work realllllly hard to keep him going at a trot or canter! I am hoping to find a gelding who has a little more forward motion! The breed intrigues me, I am 57 years old and just want to live and have fun with my horses!! This is a late comment. I have a new horse, a draft mare who is still pretty green for riding. At first, after buying her, I began to wonder how smart the decision was. But it turns out she is a complete sweetie. She just needs some instruction and riding miles. I highly recommend a draft. She actually doesn’t eat any more hay than a hard-keeper Thoroughbred does, I don’t give her grain– just soy oil, a little low-starch pellet supplement, Vitamin E, and selenium (regional soil deficiency here). And there’s so little drama with her. She loves to hang out with me and get scratched. She does take a little time to learn things, but is very willing and worth the time. P.S. I’m old, but that didn’t stop me! I just started volunteering at a horse rescue and I have some medical issues/requirements so inquired as to a safe horse to work with/walk/groom and fall in love with! Enter…Danny, 20 years old, Clydesdale and quarter horse…gentle giant indeed. I feel safe under his chin! Closes his eyes when I speak to him! I am hooked ThSt this breed is the one for me…66 years old and wanted to get to know horses for the first time! way to go girl. you hope it works out for you. you can handle it. Hey! So my friends grandpa has a horse that I am pretty sure is a draft horse. He is not broke or trained yet and he hasn’t been around People that often cause her grandpas really busy and dis to have time to visit home that often but I fell in love with him and visit him every weekend now and I was wondering how do I gain his trust enough to to put maybe a lead rope around his neck so I can lead him around and get him really use to me and then get him up to a halter? Hello, I am thrilled that I stumbled upon your page here. I admittedly have had no experience with Draft horses and know what I feel is very little about them. I currently own a Dutch Warmblood mare and have always been a TB and Appendix person as I ride Hunter/Jumpers. In 2 days I am going to take a look at a 3 year old Shire ISH cross gelding. At 3 he is 17h. I am absolutely in love with his photos already and I am very excited to meet him. I am currently recovering from a traumatic fall which resulted in a complete joint replacement and has shaken my confidence a bit. At this point I am looking for a big puppy dog that I can build a strong relationship with and regain my confidence on. I think I am on the right track considering a cross? Any advice would be greatly appreciated! I am also very curious if drafts crosses are comfortable at the W/T/C? I was told they were not. I suppose I will find out soon enough but really interested in your feedback. Are they easy keepers? I have taken dinner plate feet into consideration…anything I should look for or avoid? Thanks sooo very much!